This is where the Cohiba Siglo line really starts and imho is better then the Siglo IV as of late..this one here is just delicious! I am now aging the remainder of my box! Great flavours, perfect burn, great construction. Although considered a lesser Cohiba than the Siglo VI it is still a pleasure smoking these. I wish they made a never-ending one of these. 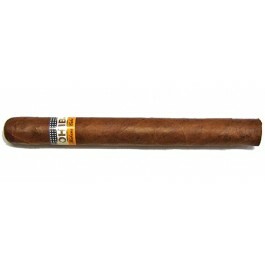 The Cohiba Siglo III SLB - 25 cigars is the best bang for the buck in the Cohiba line. They are great right off the truck but get a couple years of age on them and they really to shine. IMHO the Cohiba Siglo III SLB - 25 cigars is better than the Cohiba Robustos - 25 cigars. It just oozes with CC goodness. I really like the Cohiba Siglo III SLB - 25 cigars . As a matter of fact I prefer it over the Cohiba Robustos SLB - 25 cigars. They are a solid stick right off the truck but once they get a couple of years on them they really open up and shine. IMHO the Siglo III is the best bang for the buck in the Cohiba line. It's hard to say anything bad about this cigar! Just received this box and will allow them to age in my humi for a few months, due to personal preference. All of the Siglo III that I have had in the past have burned even, had that unique Cohiba flavor and consistency, and the construction was perfect every time. Love these smokes and they are my second favorite of the Siglo series, surpassed only by the Siglo VI. The price CT offers these for makes them hard to pass up! Thanks guys!